Yosemite trip is looking for chaperones. DIscussion on adding winter gear to blog for kids to swell/swap. Sunshine to research possibility for people to be able to add their own classifieds on blog. Discussion on Boosters subsidizing yearbooks so that they are available to all. Not in this year's budget, but suggestion for tabling it for future. 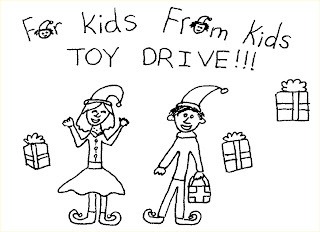 Principals report - Mr. Block said the toy drive is happening and that the toys will stay local. Student council will wrap the gifts. Bring unwrapped new toys to school. The mice battle continues at the portables. Poison will be used over the winter vacation since students will not be present then. Sunshine brought up that we still need a 6th grade rep. If anyone has any suggestions, please contact her. Discussion on the fact that last year's 6th grade donated money towards a sundial for the outdoor classroom. The money still hasn't been officially given to the builders. This item is tabled pending discussion with builders and student council parent advisor, but will remain on agenda under old business until resolved. Altee reported that all accounts have been moved from Santa Barbara bank to Coast Hills except for one CD and the student council checking account. The CD will move in April when it matures. Altee also reported that on October 8 our insurance will need to be renewed again. Discussion began on using regular mail vs. email for student trip bills. Decision made to continue using regular mail. Chantal Blanchard offered to cochair marchathon with Summer. Discussion regarding budget began and it was agreed that Boosters should continue doing Appleby's breakfast again this year as it was so successful. It was suggested that we should contact Travis Jones, a TEACH parent regarding this. Boosters is overbudget by approximately $12,000. Motion moved by Chantal and seconded by Altee to spend up to $400 on CAP for Big Brothers/Big Sisters event. Motion passed with vote of 3-2.
eScrip deals for the holidays that help our school! To see the pretty version of this page, please follow this link. Get ready for the holidays with these great offers! Shop Now at the eScrip Online Mall, where more than 1,000 stores support Charles E Teach Elementary Booster Club! Cyber Monday Sale! Up to 50% Off at BarnesandNoble.com! November 28th & 29th ONLY! This drive is unique in that you can give a specific gift to a specific child right from their wish list. The students of Teach and Bishop's Peak schools want all of us to think of the homeless children around us during the holidays. When you are purchasing gifts for the children in your life, please consider also getting a gift for a homeless child. 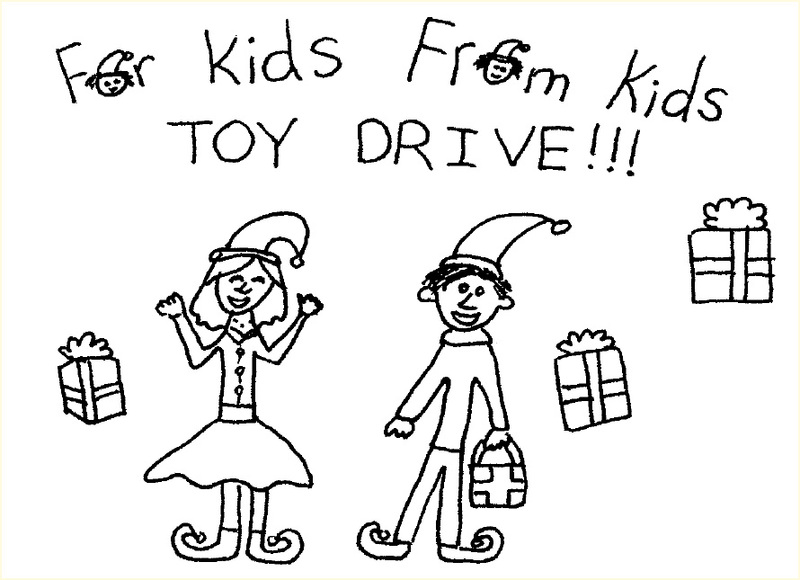 Donations of new, unwrapped toys will be collected in the library after the Thanksgiving break. You may choose to either give a specific gift to be matched to a child from their wish list or give any gift that you think a child might like. If you choose to give a gift to a specific child, ideas from the children's wish lists will be available at the collection box. Simply take the tag with the gift idea and attach the tag to the item when you leave it in the collection box. All the donations for gifts remain local and go directly to children in need within our community. The gifts will be distributed during the holidays to the children served by the Prado and Maxine Lewis shelters and to the children identified as being in need within San Luis Coastal Unified School District. 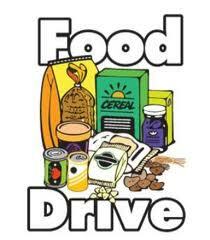 The Bishop's Peak Student Council is doing a food drive for their Community Service Project. They have two barrels at school, one in the library and one outside the office. The last day of the drive will be December 16. Most needed items: canned fruits and vegetables, canned meat & tuna, canned soups, canned beans, peanut butter, spaghetti, dry cereal and rice. Thank you for your kindness! Students are collecting donations for Pacific Wildlife Care in Morro Bay. If you would like to help, please put your donations in the dropbox in the library. You could save an animal's life today! Items needed are on the wish list on the donation box and at pacificwildlifecare.org. Some suggestions are: unsalted peanuts, old newspapers, soft, fluffy or fuzzy blankets and towels, Gerber baby food in these flavors: chicken with chicken gravy or mixed vegetables. Thank you for your kind support! It's so nice to see our generous children take action in their community to better the lives of the less fortunate. Please support them in their endeavors. Attendees: Karen Panasewicz, Taffy Gonzalez, Chantal Blanchard, Doris Kim, Kurt Rightmyer, Lori Shields, Nara Clark, Sunshine Cowgill, Paige Wright, Dan Block, and Jocelyn Leonard. Meeting called to order at 8:35 a.m. Welcome. Lori Shields had a correction for the Oct. 2011 meeting minutes. The correction is that Morgan Robertson is the co-representative, along with Lori Shields for the 4th grade classes. After the correction, Lori moved to approve October’s minutes. Taffy seconded the motion. All were in favor. The students who participated made money on Genevieve. Call Altee to see how much your child earned. Taffy volunteered to call Altee regarding sending out statements to everyone, so they would know how much money they have made and how much they still owe for their study trips. Class Representatives for the 4th grade let us know that the 4th graders had a great time at Astro Camp. Mr. Crabb had a question about where the Battle of the Books were. They have come in and are in the office. They need to be taped and labeled before they can be passed out to the different classrooms. The Boosters will be getting that taking care of that soon. Vacancies: 6th Grade Representative and Bookfair Chair. The Bookfair is in the spring this year, Chantal may be willing to volunteer for this position…she is going to look in to what it involves. She is also working on the cookbook right now. An idea was brought up to have the creating of the cookbook, and cooking some recipes from the cookbook become one of the electives in January. Nara volunteered to help with the cooking portion if this becomes an elective. 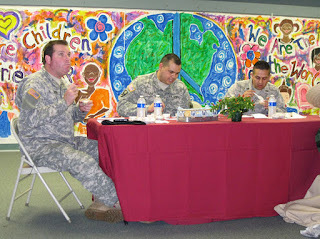 New Business: The date for the Dinner/Auction is set for Saturday, April 21, 2012. Taffy is still looking at locations. It has been at the Country Club in the past, but Taffy is also checking out Café Roma as an option. Central Coast Gymnastics has said that they would hold a “Kids Night Out” on the day of the Dinner/Auction, as an option for where to take your kids while you attend the Dinner/Auction. International Day is set for April 27. Chandrika Jaggia is the chairperson for this event. Please contact her if you have questions, or would like to volunteer to present for this event. Paige and Kurt are working on script. The script has raised $437 on the first four orders this year. We would like to put together a Welcome Call Committee, to help new families feel welcome and to answer any questions they may have about Teach. Nara, Jocelyn, Doris, and Taffy agreed to be on this call committee. Mrs. Rosenfield got the grant she was waiting for in order to run a Math Day at our schools. She needs the Boosters to pay $1000 toward the costs of this day. Chantal moved to pay the $1000 for the Math Day. Nara seconded the motion. All were in favor. Meeting adjourned at 9:27 a.m.
Get your trusty secret recipes ready and warm up the crock pot, because the Charles E. Teach Elementary School Annual Chili Cookoff is right around the corner! Think you've got the tastiest chili? Click the form below to print & fill out your entry. RSVP! We need to know how many will be attending our potluck, so return the form even if you will not be entering a chili. Did you rsvp? Did you get your chili ingredients yet? Need information? Contact Lori Shields with questions. 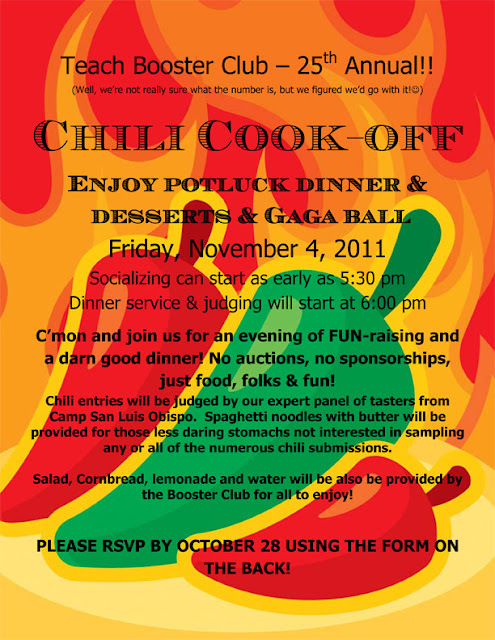 We'll have a hot meal, Gaga Ball (weather permitting) and chili judging, so come on down! 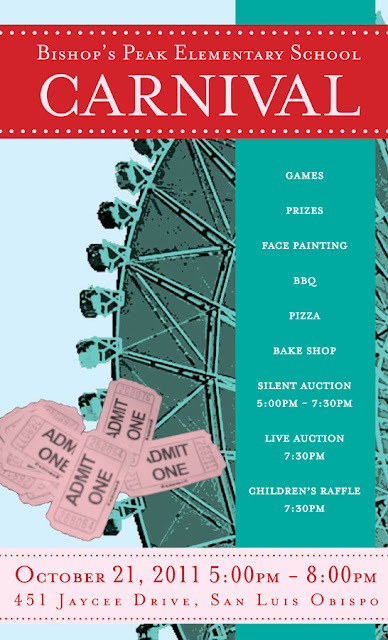 Bishop's Peak Carnival is this Friday! There will be fun for all, with games for every age group, barbeque dinner and pizza, treats and live and silent auctions. Wristbands are $10 to play all night. See you there! Think you've got the tastiest chili? 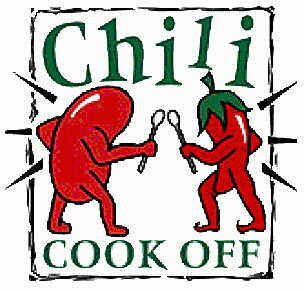 Then enter it in our annual Chili Cook-Off! Click here for the event flyer. Entries will be judged by our panel of expert judges in the following categories: Best Meat, Best Vegetarian, Smokin' Hot, and Most Savory. 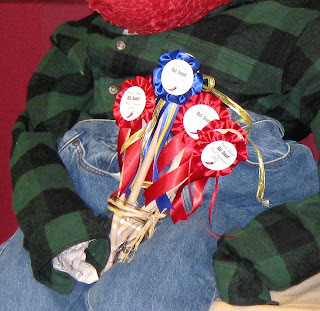 A final award will be given for the People's Choice. 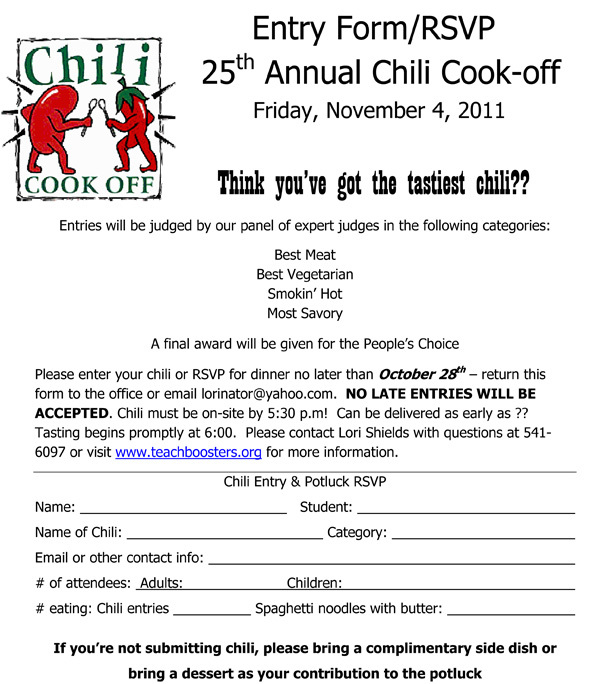 Please enter your chili or RSVP for dinner no later than October 28 - return this form to the office or email lorinator@yahoo.com. Please contact Lori Shields with questions at 541-6097 or click the chili link above for more information. Attendees: Nell Bennett, Chantal Blanchaud, Kurt Rightmyer, Doris Kim, Nara Clark, Riana Baxter, Morgan Robertson, Taffy Gonzalez, Sunshine Cowgill, Karen Panasewicz, Denise Jenkins, Dan Block, Altee Vigil and Jocelyn Leonard. Meeting called to order at 8:33 a.m.
Lisa Hargrave is helping out with the Student Council this year, and things are running smoothly. Student speeches will be next Wednesday. The minutes from the previous two meetings (June and September) were brought up for approval. Kurt moved to approve September’s minutes. Riana seconded the motion. All were in favor. Kurt moved to approve June’s minutes. Taffy seconded the motion. All were in favor. Principal’s Report: The first assembly for Teach is today. Catalina was a great success. The kids had a great time. The 4th graders will be heading off to AstroCamp soon. (Oct. 19-21). Mr. Block brought an idea for a new program for the students. 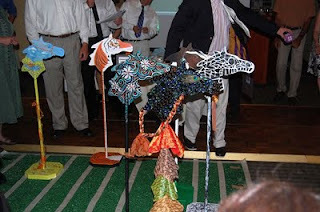 It is called Destination Imagination or Odyssey of the Mind. 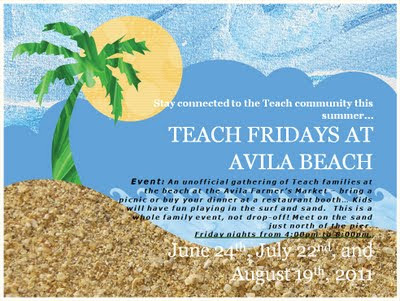 This has been a popular program in the Lucia Mar School District. The students compete in challenges in a team setting. Students can be from all different grades, but 6th graders compete against 6th, 7th, and 8th graders. 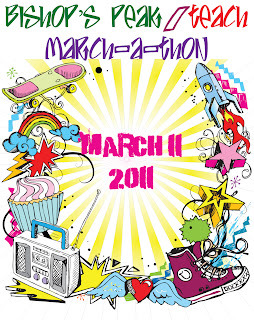 Parents can go to www.destinationimagination.com to find out more about this program. The regional competitions are in January and February. Parents would be needed to help facilitate but this is mostly kid-driven. The kids are given a problem, and then they need to work together with their team to solve it. This would be something that would be done in the after school hours. Teams are usually 6-7 participants each. The cost is $130 per team, or $390 for five teams. Mr. Block will have a representative come to talk to parents about the program. More information will follow regarding that presentation. Class Representatives: Nara and Riana are the 5th grade representatives. Morgan volunteered to be a fourth grade representative. We still need a 6th grade parent to be a representative. We also need an International Day Coordinator, and a Book Fair Coordinator. Mrs. Rosenfield’s Math Festival Proposal: Mrs. Rosenfield came in to talk with us about funding a Math Festival. It would be an entire day of math. Each class would go to the Multi-Purpose room for 40 minutes to visit all the different stations set up to let them have fun with math. Teachers would then have a 1 ½ hour in service after school to learn how to make math more fun in their teaching of it. Parents and kids would then come back at night to explore the math stations again. Mrs. Rosenfield is writing for grants to help off-set part of the cost. The entire cost is $4000 for the day. She is hoping to get grants to cover about half of the cost. She has asked Bishop’s Peak to contribute $1000, and is asking us (the Boosters) if we could contribute $1000. This event will be for both schools. The link for parents to find out more information about this program is: www.cmc-math.org. After Mrs. Rosenfield left, there was some discussion as to whether we felt we needed this program, and if we could afford to contribute $1000. Our assemblies are currently within budget, but if we took on this, it would wipe out our assemblies budget. Some money may have to come from the General Fund, or we would have to do some additional fundraising in order to contribute. After much discussion back and forth, it was decided that we would table our decision until the November meeting. This way, we would have a chance to go to the website to find out more about the program. Baywood Elementary held this same Festival last year, so if anyone has contacts at Baywood, ask them what they thought about it last year. Genevieve Orders: Pick up orders on Thursday after 1:30. If your child has a big order to pick up, please make arrangements to help them get the orders home. Treasurer’s Report: All bills from last year have been paid. We have two CD’s. One is worth $33,000, the other is worth $10,000. One of them is maturing this week. We need to decide if we want to move it. Six scholarships have been asked for. Some parents have donated extra money to help pay for scholarships. Thank you very much. Please make payment arrangements for your child’s study trip. If this is a hardship, please call Altee Vigil, Treasurer, to inquire about scholarships, or to work something out. GLScript brought in $252 this past week. Keep up the great work! Kurt volunteered to help Paige with script. American Express has started charging us $7.95 per month for their use. However, we do not use American Express. Altee will contact them to see what is going on. Mr. Block would like for us to purchase a safe to keep all of the script cards in. Morgan moved that we authorize Altee to spend up to $250 for a safe for this purpose. Chantal seconded the motion. All were in favor. Next, there was some discussion about changing the bank that we deal with. It would be for our checking account with debit card, and the two CD’s. The two bank were are looking at are Chase and Coast Hills Credit Union. Altee will research the differences in interest rates, and compare the rates. Taffy would like to support Coast Hills, because they have supported us in the past. Karen moved that we move the CD’s from the First Bank of Santa Barbara to Coast Hills Credit Union, assuming the interest rate in within 1% of what Chase offers and move the checking account there as well. We would keep the current signers as Altovese Vigil, Sunshine Cowgill, and Jocelyn Leonard. Chantal seconded the motion. All were in favor of moving CD’s to Coast Hills. All were in favor of moving the checking account to Coast Hills, and all were in favor of the signers on the account. Chili Cook-off: The chili cook-off will be Nov. 4, 2011 in the Multi-purpose room. 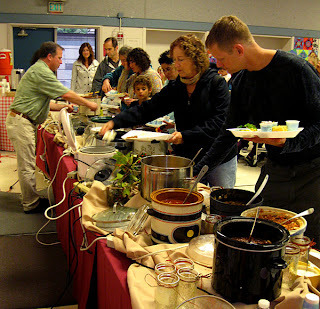 In past years, we have had enough chili, but not enough salad or bread. So, this year we have decided to buy salad materials, and bread. Altee moved that we pay for these items this year. Chantal seconded the motion. All were in favor. Extras: In the shed we have a large box of Capri Suns, a large jar of pretzels, a large box of graham crackers, and fruit snacks. We need to use this for some purpose before they expire. It was decided that we would offer them to the 4th grade to snack on for their AstroCamp trip. T-shirts: There was a problem with the orders on the T-shirts, and we need to get a few more made. Chantal moved that we use the profit money from our current T-shirt order to replace the mixed-up T-shirts. Morgan seconded this motion. All were in favor. We are going to make another small order of Tiger Tees to accommodate those who need a size exchange and couldn’t get the size you want. If you need an additional shirt or an exchange, please contact Sunshine at 543-2717 or email sunshinecowgill@sbcglobal.net and let her know what you need and what you are exchanging. The order will be placed Wednesday, October 12. Fall in love with a new dining spot this fall... and earn contributions while you do. Be sure to check out a few of these great new locations before the temperatures drop. To designate our school, just visit target.com/tcoe, or call 1-800-316-6142. Teach Elementary School's number is 35553. Find out how much money our school has already received at target.com/tcoe. Grandparents, alumni, neighbors and friends can take part, too. This program is nationwide. Genevieve's orders are due tomorrow! Get those packets together and send 'em on in. Our school account number is 11674. Enter it and Teach will get credit for their purchases. To sign your child up, click the "parents" link and enter his/her name & teacher. Your customers can choose your child to benefit at checkout, and you'll be notified when orders come in for your child. Thanks for supporting our fall fundraiser! Sunshine called meeting to order at 8:34. Financial report by Altee...lots of parents have paid for Catalina. We have purchased Quickbooks Online and are now in the early testing stages and will make sure kinks are worked out before we go "live" with real information. Lyn Cowgill has been very helpful with working out the kinks in the system. Genevieve is happening now! Sunshine and Altee advised that they are very seriously considering moving the bank account (checking) from where it currently is to Chase. Discussion followed on considering other institutions, such as Golden 1 and the credit union where Jeff York is the CEO as they were very generous to our auction last year. Altee will be reviewing the financial institutions discussed and make a decision. CD's and student government account financial institution will be relooked when the CD's mature. Principals Report - Mr. Block discussed how both schools are "bursting at the seams" and that he is proud to welcome our two new teachers to TEACH. He also discussed the parking lot scene and reminded parents not to arrive at the loading zone until at least 2:15 and to consider other options, such as Highland Drive and behind the school. Room Reps - Karen Panasewicz and Denise Jenkins offered to be 4th grade reps. Nara Clark and Riana Baxter offered to be 5th grade reps. Opening exists for 6th grade reps. Teacher Report - Mrs. Jones thanks Boosters for helping in making Catalina a possibility. She mentioned that if we pay the yearbook company we used last year early we will get a substantial discount. Discussion happened on other options as Chantal Blanchard mentioned she had great success with another company who didn't require such early deadlines. It was decided that Mrs. Jones would research both companies. In the interest of time, Mrs. Jones was granted permission by unanimous approval to use up to $500 as a deposit for the yearbook with whichever company she picks as the deadline will be before the next Boosters Meeting. This motion was moved by Kurt Rightmyer and seconded by Stacy Thacker. Mrs. Jones also mentioned as part of the yearbook finances each teacher needed a zip drive, plus one for the 6th graders putting together the yearbook. It was unanimously approved that Mrs. Jones could spend up to $150 for flash drives. Motion moved by Altee Vigil and seconded by Nara Clark. T-shirts - deadline will be extended by one week as not all students received the flyer this week. Check Writing - Taffy Gonzalez moved that the signers for the 2011/2012 school year on the Teach Boosters Checking account will be Sunshine Cowgil, Altee Vigil and Jocelyn Leonard. The motion was seconded by Kurt Rightmyer. Genevieve - Pia Laurie mentioned needing help counting money next Friday. Summer Kabaker offered to assist. Chili Cookoff - Lori Shields offered to chair the Chili Cookoff. Math Fair - It was decided to invite Mrs. Rosenfield to the October boosters meeting so that she could discuss the math fair and by then, hopefully, she would know how much money she needed as her grants might be determined by then. Minutes were taken by Taffy Gonzalez for Jocelyn Leonard who was unable to attend. Thank you very much Taffy! 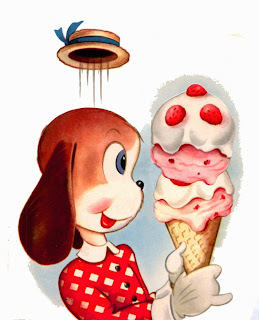 Look for an invitation to our annual Ice Cream Social, coming up August 23, 2011 at 3:00 p.m. All new and returning Teach students and their families are invited to make new friends and see old ones before the first day of school. Students will play getting-to-know-you games and eat ice cream. Teachers, administrators and returning families will also be on hand to answer questions and help make the transition to Teach fun and easy. Hope to see you there! Attendees: Sunshine Cowgill, Taffy Gonzalez, Paige Wright, Tammy Haas, Dan Block, Erica Stewart, Altee Vigil, and Jocelyn Leonard. Meeting called to order at 12:59 p.m.
Principal’s Report: There will be STAR testing next week. Teacher Appreciation Week is this week. Sarah Atwell has done a wonderful job coordinating all of the activities for the teachers this week. Teach is growing. Everyone who applied for next year has been accepted. Next year it looks like we will have two 4th grade classrooms, one 5th, one 5th/6th, and one 6th. Succession Planning: Erica nominated Altee for treasurer. Taffy seconds the nomination. Tammy agreed to take care of Genevieve’s again for next year. We will talk more about this fundraiser at our June meeting. Taffy nominated Sunshine for president. Tammy seconded the nomination. We will have elections next month (June). Erica suggested sending an e-mail to the class representatives to see if anyone knows of someone to nominate for the Executive Board. Taffy said she would consider being a co-vice president with someone else for next year. Tammy suggested inviting the new 4th grade parents (those with kids going into 4th next year) to the next Boosters meeting. Sunshine would like ideas sent to her regarding how to communicate with parents. Paige and Altee will co-chair the Ice Cream Social event for this next school year. They will get the supplies from Smart and Final. Sunshine will send the letter out inviting the students to the ice cream social. Genevieve Fundraiser: There was a vote as to whether or not to continue with the Genevieve fundraiser in the next school year. Four out of six voted to keep it as a fundraiser. Paige will research if there are any “Made in America” catalogs out there with products to sell. After some discussion, Paige moved that we shelve the Genevieve question until the next meeting. Erica seconded the motion. All were in favor. Tammy will contact Julie from Genevieve to ask her to come to our meeting in June to show us what Genevieve has to offer. 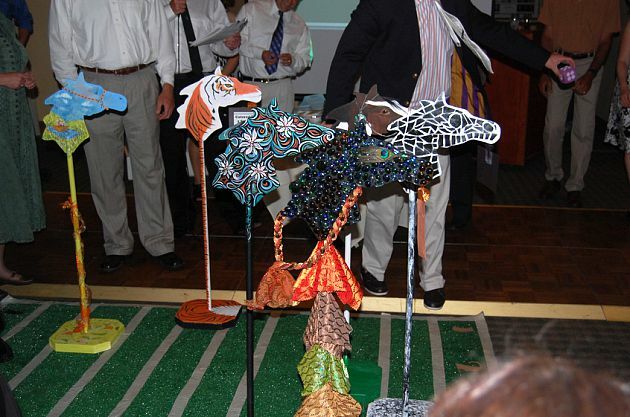 Derby Days: Derby Days will be tomorrow night at the San Luis Obispo Country Club. Due to the amount of money that had to be pulled out for the cash drawer for the event, Altee has asked the bank for a key to put the money back into the night drop after the event. She does not want to have to carry the money around after the event. She would like to take the money right from the event to the bank. The key for the night drop costs $5, with an agreement to pay $27 for the year. Taffy moved that up to $50 be available to Altee for banking purposes for this event. Paige seconded the motion. All were in favor. Paige moved to approve the meeting minutes from April. Erica seconded the motion. All were in favor. Meeting adjourned at 1:47 p.m.
What a great time we all had last Saturday night at Derby Days! We had a delicious meal followed by a dessert auction (yum! ), a live auction, and a horserace. 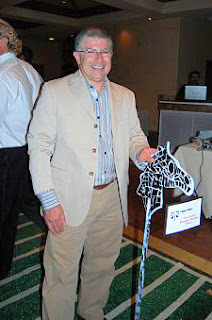 We also had a silent auction going on the whole time, with some really great finds to bid on. Sadly, we didn't have enough time in the end to run more than one horserace, but it turned out really well, and the horses were magnificent! Photo Finish: Ebisu in the lead, followed by Wild Spirit and Not so SLO, tied for second place. Trailing are Swirly Stallion, Tiger Pride and Views of the Meadow. Ziyad Naccasha was the lucky owner of the winning horse, Ebisu, created by graphic designer Taylor Chase of Roku Roku Design in Atascadero. Ziyad Naccasha poses with winning horse Ebisu. 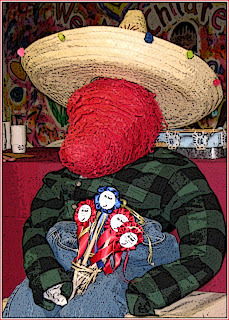 Taffy Gonzalez won the Hat Parade with this wispy topper. 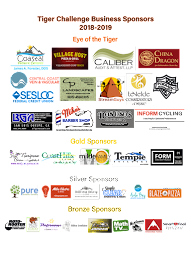 Special thanks to our Program Sponsor, Coast Hills Federal Credit Union and our auction committee: Erica Stewart, Taffy Gonzalez, Altee Vigil, Patrice Vogel, Paige Peake Wright, Tammy Haas, Jessica Napier, Sunshine Cowgill, Heidi Sandoval, Mary Franzmann, Shay Stewart, Matt Wormley, Sandy Robinett, and Doris Kim. Thanks also go to Patrice and David Vogel of Central Coast Family News, Suzanne Mulay of Mule Design and Images, Janet Crabb, Mimi Phene-McKeller of Central Coast Gymnastics, Eric Mulay of Crystal Springs Water (our gold donor and underwriter), and Bill Mortimer of the San Luis Obispo Country Club. And of course, thanks to all our auction donors and YOU! Just by participating, all those parents who showed up supported our school, our Booster Club and our students. 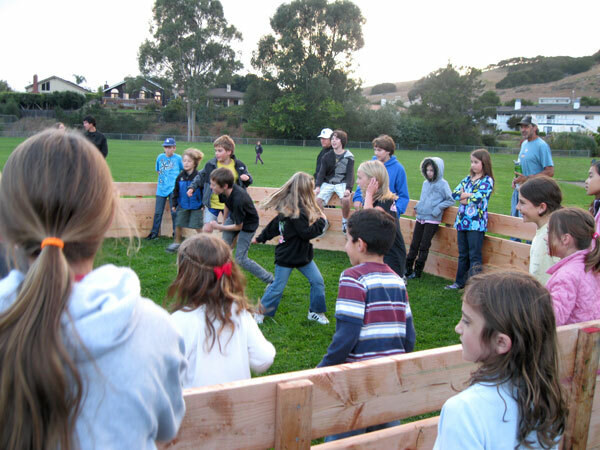 Your donations, contributions, tickets, enthusiasm and presence all support our endeavors to enrich our children's school experience and make Charles E. Teach Elementary a unique, quality educational program. Click Here to see more info and photos. More will be posted soon, so check back! May 7, 2011 :: 5:30-9:30 p.m. 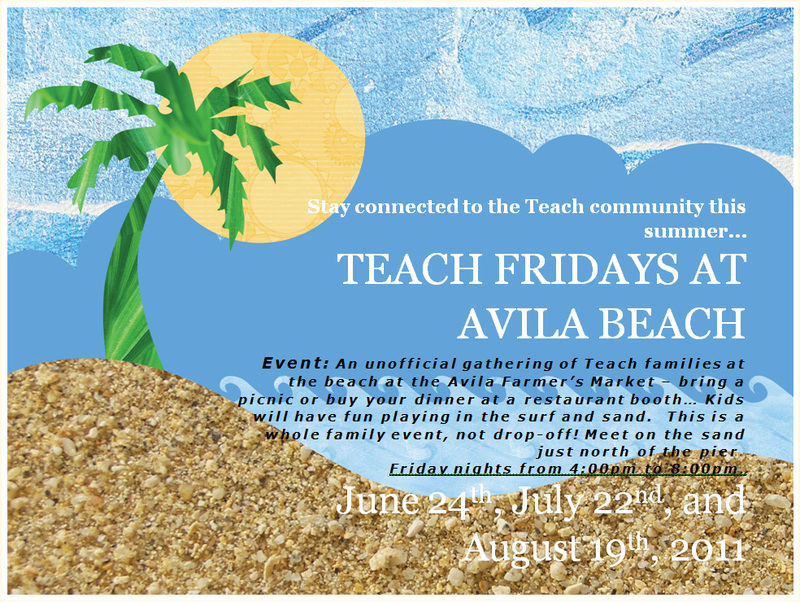 Please call (805) 543-2717 or email teachboosterclub@gmail.com for information. Online tickets are no longer available. 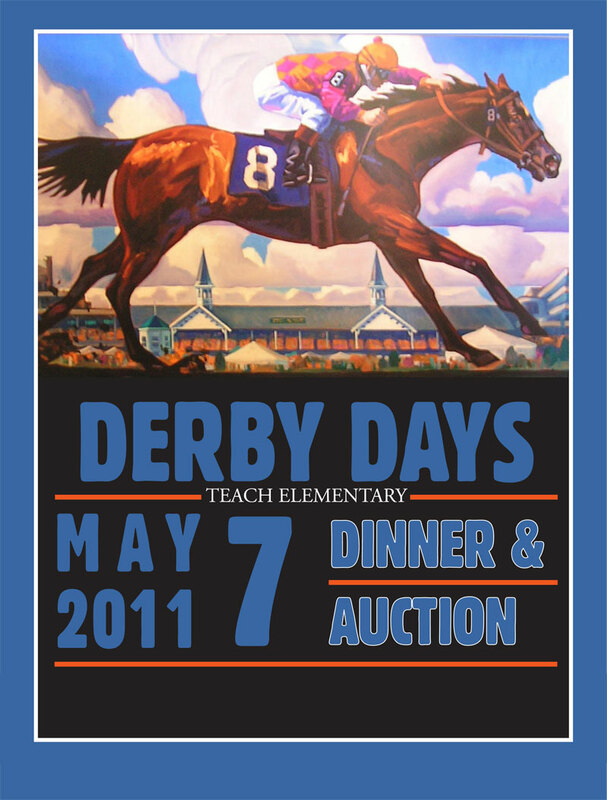 Don't miss this annual fundraiser featuring gourmet dining and bar--Kentucky style, silent and live auctions, a traditional Kentucky Derby Hat Parade and Dicey Horse Racing! 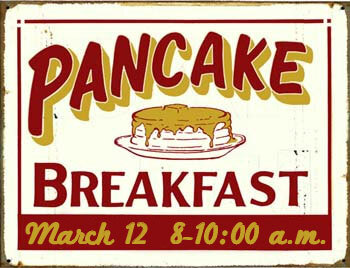 All proceeds benefit Charles E. Teach Elementary School. Kids Night Out at Central Coast Gymnastics is also available. Reserve space for your children aged 4 and up when you purchase dinner tickets. 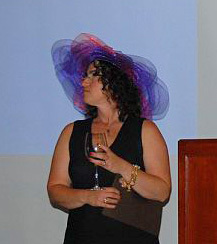 Tickets to KNO may also be purchased separately (you do not have to attend the auction to attend KNO.) Kids Night Out is $25 for the first child and $15 for each sibling. An energetic gymnastics program will be provided, along with a pizza dinner and a movie cool-down at the end of the evening. This is a hugely popular event at CCG, so reserve your space early! Tickets will be on sale while space is available, until May 2. Please contact Erica Stewart for more information. To find out if tickets are still available, please call (805) 543-2717. Please note that all sales are final. Tickets are transferrable, but not refundable. Meeting called to order at 8:40 a.m. Erica moved to approve the March meeting minutes. Dan seconded the motion. Minutes were approved. Principal’s Report: It has been a busy month. We did really well at the Applebee’s fundraiser. The 5th graders had a great time in Yosemite. The 6th grade play is coming along well. Spring break is coming soon. After spring break, we will have a week of regular school before we start the STAR testing. The first week of testing will take place on Tuesday, Wednesday, and Thursday. (This will be the second week of May). The second week of testing (3rd week of May), testing days will be Monday, Tuesday, and Wednesday. The make-up testing days will be Thursday and Friday of that week. The 6th grade Challenge Day, led by Jeremy Bates is coming up. This is a whole day event for 6th graders, to help them prepare for middle school. The price for the day is $500, which we can split with the Bishop’s Peak PTA. Financial Report: The Applebee’s breakfast brought in $2038. We made $1600 in profit! We will definitely do this fundraiser again next year. The feedback we received was that people really enjoyed themselves and found it to be a good family event. Next year we will let people know that they can also buy tickets at the door. 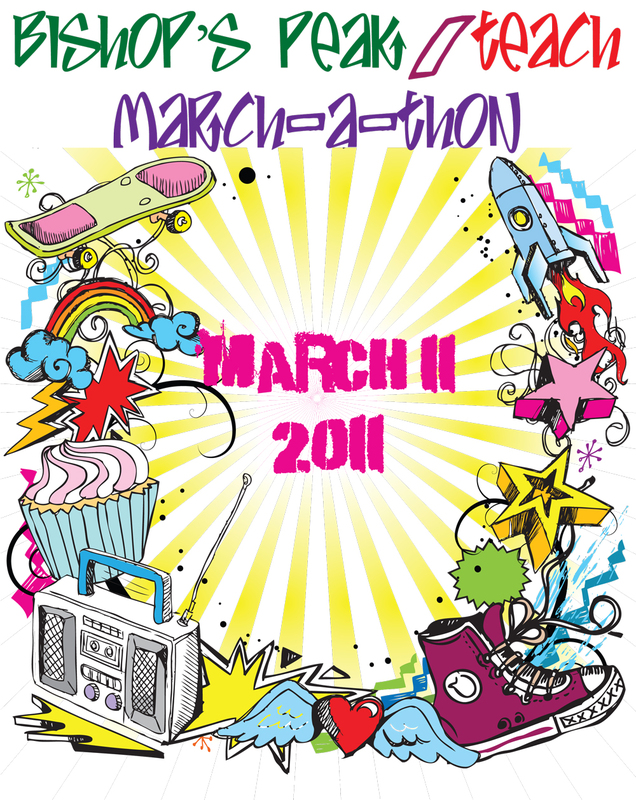 The March-a-thon brought in $5427.02 in pledges and $2300 in sponsors. Class Representatives: The 4th grade has nothing to report. The 5th grade had a great time in Yosemite. Parents were very appreciative of Mr. Jarvis’ updates online. Thank you Mr. Jarvis! The updates made parents feel more at ease. The 6th grade went to the Rosecrucian museum recently and had a great time. The 6th grade play will be April 14. Middle school registration is coming up for the 6th graders also. CAP projects are going on now, and are going well. Derby Days: We have an auctioneer. His name is Tim Kennedy. 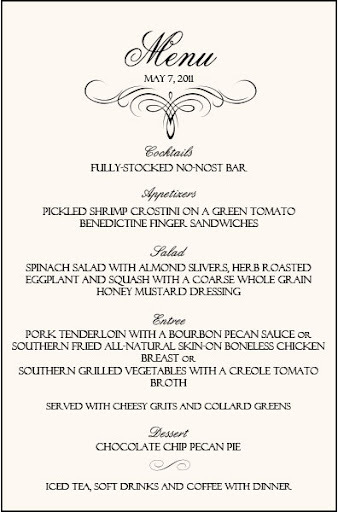 The menu has been finalized to go along with a Southern theme. The silent auction items are coming in. We need more large ticket items. Currently we are gathering donations and selling tickets. People can buy tickets online. Other Business: Sunshine will get the thank you cards to Jocelyn to write thank you notes to our March-a-thon sponsors. Sunshine thinks that $250 is what the 6th graders from last year were planning to donate for the sundial in the school garden. Doris suggested that the money should go into a garden fund for when the sundial is purchased. Dan mentioned that the 6th grade mural is coming up soon. The two schools work together on this project. Scrip: Doris is still working on scrip. Next year is Bishop Peak’s turn to hold the Book Fair in the fall, with Teach holding theirs in the spring. Altee mentioned that at her last school the Book Fair was run by the librarian, and the profits all went to the library to be used to fund the library. There are extra book credits for the librarian when this happens. People thought that this sounded like an interesting idea. The AR online tests have been well received. The teachers and kids love it. It is very motivating for the kids, because most of the books they are reading are now online. Parents can check their child’s progress on Renaissanceplace.com. Succession Planning: We need to plan for next year. Please nominate/volunteer for positions for next school year. So far we have The Wormley’s agreeing to work on the directory. Taffy has agreed to continue with the Assemblies. Sunshine has agreed to handle the T-shirts and continue as the Webmaster. We are still looking for a President, Vice President, Secretary, Treasurer, and Classroom Representatives. They are many smaller jobs that need to be taken care of also. Next year the auction person needs to work solely on the auction. 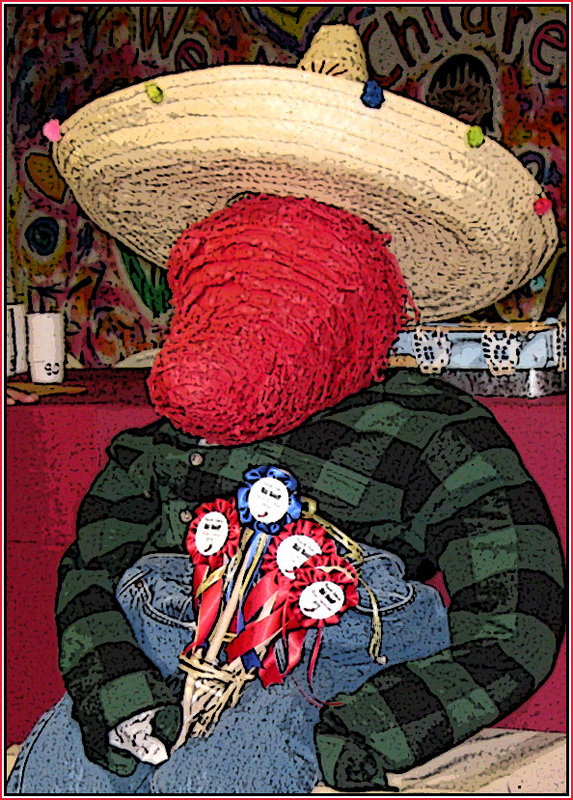 We also need a coordinator for the chili cook-off, Genevieve’s, and the Ice Cream Social. Open Enrollment is over. So far we know will have a 6th grade, a 5th/6th class, a 5th grade, and the 4th grade is still undetermined. There will be at least one 4th grade class. Meeting adjourned at 9:40 a.m.